new ways to solve a problem, new ways to achieve one thing. Exploration starts from reading and understanding. When you are reading, you are actually gaining the knowledge and experience of someone . Through reading, you build a more solid bridge of communication. It is one of the most important tools we use every day to connect with each other When reading, you’re in full silence, where reading connects directly to your brain. In silence, you seek for more; in silence, your brain is clear and focuses, thus you learn and grow, and therefore you feel and see from the point of view of the author, about everything in life. Hence you shape a better self. Through ritual and magic, Wiccans seek to better their own lives and the world. 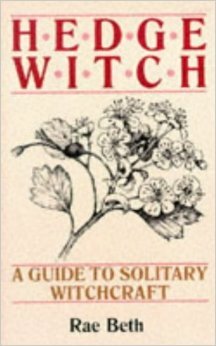 Wicca is a religion--but also a craft, with practical things to do, and the secrets that unfold in this manual show how to activate the powers that lie deep within nature and us all. 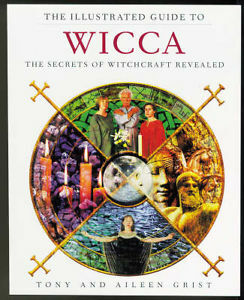 Here are the history, the ethics, the insights, and the gods and goddesses of Wicca all laid out, accompanied with spectacular images. With the tools of the trade, such as candles, incense, the magical knife, and the all-important wand, the work can begin. Set up a temple, and prepare for initiation, either with a coven or alone. Open the circle, raise the energy, make magic and feasts, conduct invocations and evocations, and carry out spells. And, most important, find your own way within Wicca, for there are no set rules--just a journey on the path that's right for you. 128 pages (all in color), 8 x 10. 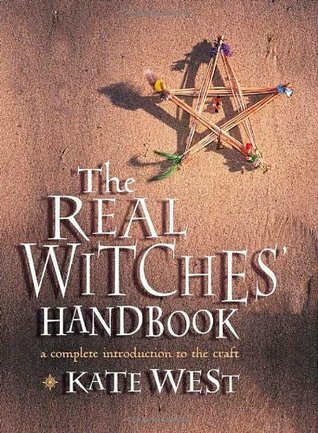 Kate West explores the myths that surround witchcraft, its festivals, beliefs, practices, and folklore. She explains the responsibilities of becoming a witch, and provides all the magical and herbal spells you need - from charms to help you attract your ideal partner, to healing potions for natural beauty, to affirmations that will help you find empowerment.